N. Oda, Danish Chairs, Kornisha Press, n/d, p.159 (example illustrated). M. Eidelberg, (ed. ), Design 1935-1965, What Modern Was, Le Musée des Arts Décoratifs de Montréal, Abrams, NY, 1991, p. 332 (analysis of this chair's design). This remarkable and innovative chair design was the result of a series of experiments in moulded wood laminates begun by Jalk in 1962. 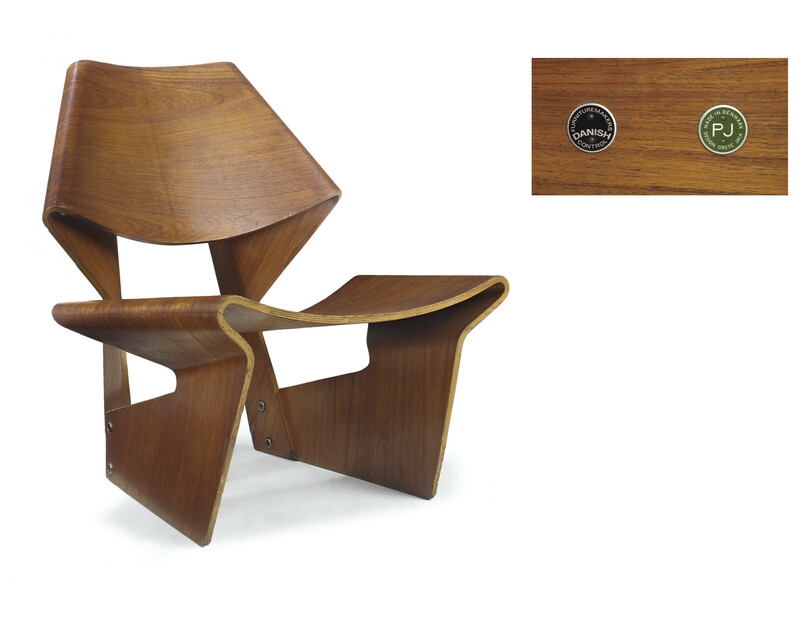 Produced with a variety of surface veneers, the chair was presented to the market at a time when consumer interest in plywood furnishings was beginning to wane, and consequently, according to Oda's reference, only 150 examples of this exceptionally sculptural design were ultimately manufactured. No VAT will be charged on the hammer price, but VAT at 15% will be added to the buyer's premium which is invoiced on a VAT inclusive basis.